The excitement from the holidays is finally winding down! It’s time to get back into the swing of things with your monthly roundup of costume friendly events in the Los Angeles area! If you’re a fan of the Harry Potter franchise and drinking, this is the perfect event for you! Wizards Assemble is known as the largest Wizard pub crawl in the world! When you buy a ticket to this event, all cover charges will be waived as you travel with a group of wizards from bar to bar tasting themed drinks and foods! Come dressed in your Wizarding World best to make sure you stand out from the Muggles! You don’t need to live in the big cities to experience the fun of a Comic Convention! 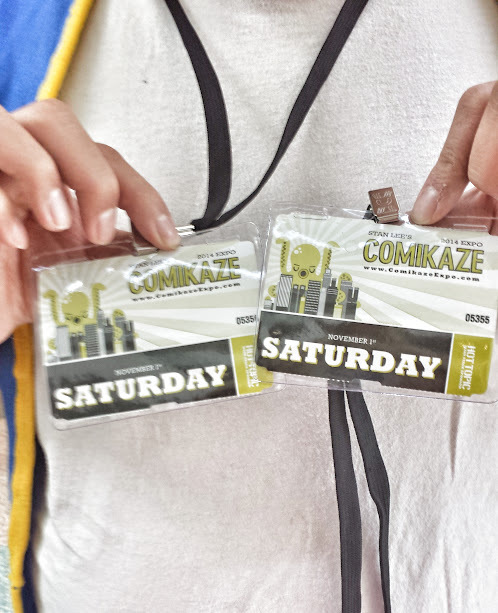 Grab your favorite pop culture costume and head out to Imperial Valley Comic Con! At this con you’ll find the usual lineup of panels, industry professionals and celebrities, merchandise sales, and meetups! Doctor Who Fans, get ready for the celebration of a lifetime! This year marks the 30th year of this annual North American Doctor Who celebration! Join fellow Whovians for a weekend of trivia, panels, discussions, and a costume contest. Stock up on Doctor Who collectibles and art, check out the Doctor Who fashion show, and even stick around for karaoke and a Masquerade. This event is perfect for Doctor Who fans whether you’ve been watching for years and years, or just got into the show! From the same creators as Long Beach Comic Con, Long Beach Comic Expo is perfect for getting up close and personal with your industry favorites! This annual con is a celebration of all things comic book and pop culture related. But don’t worry, you’ll find loads to do at this small con. Head to a panel, autograph signing, or watch the cosplay contest! Walk the convention floor for rows and rows of cool merch and fan art to buy. Or walk downtown for a nerd takeover at one of Long Beach’s many bars and restaurants! Dress up in your favorite nerdy costume for an extra good time! Get ready for a weekend of nostalgia at this fun expo dedicated to retro games! At this con you’ll find the usual panels, celebrity meet and greets, photo ops and cosplay, but you also get a huge game room full of your favorite retro games! This expo is the perfect opportunity to nerd out with fellow gamers and relive the golden years of gaming!